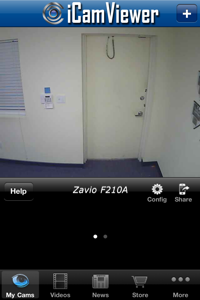 Currently the iCamViewer is compatible with Vivotek IP cameras and Zavio IP cameras. More IP camera manufacturers and camera models will be added. CCTV security cameras can also be viewed using the iCamViewer by connecting a standard an analog CCTV camera to a compatible network video server. You can shop for compatible surveillance equipment in the iCamViewer app. There is also information available on other iPhone, iPad, and MAC compatible security cameras and surveillance equipment. 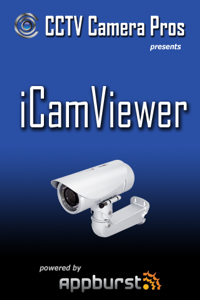 iCamViewer was developed through a partnership between CCTV Camera Pros & AppBurst iPhone app development company. We hope that you enjoy this FREE surveillance app.